While we admired Ava's rhetorical skills (nicer word than manipulation! ), we were skeptical. Both of us work in IT - I’m the School Relationships Manager for Family Zone - and we’re well aware of the safety and wellbeing risks of excessive screen-time and unfiltered internet access. Plus, Ava’s only nine, for heaven’s sake! 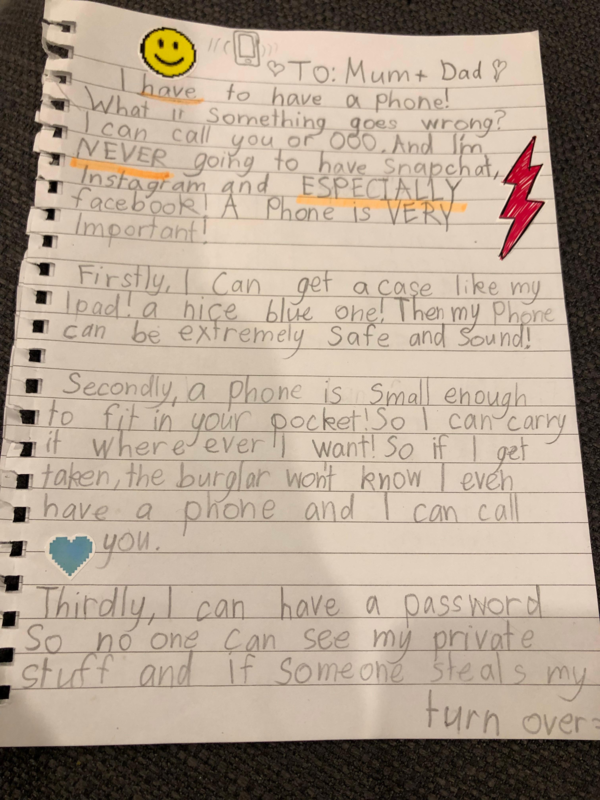 Surely no nine-year-old “needs” a phone. But the truth is, my husband and I were starting to think may be we were the ones who needed it for her. Ava and her younger brother have recently started walking to school together. It’s only around the corner, but it does make me nervous. True confession: I sometimes hide in my car to keep an eye on them til they’re safely on school grounds. Then there are school pick-ups. My husband and I both work partly from home and partly from the office, so there’s a lot of variability when it comes to after-school arrangements. It would be great, we both agreed, if there was a way we could contact Ava directly at home time, while still protecting her online. The tipping point came when we learned about Family Zone’s new FZ ONE - kind of a smartphone on P-plates. The FZ ONE is the phone we parents have been waiting for for our ‘tweens and younger teens. So it looks like Ava is going to get her Christmas wish. But we’re taking it slow and making sure we set the groundrules before the big day arrives. 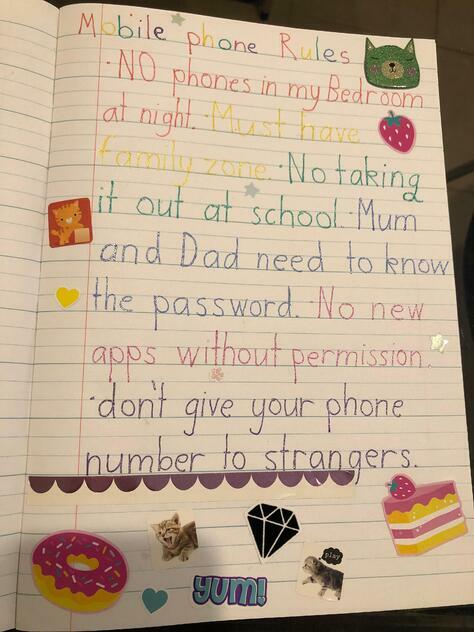 We know from talking to Family Zone’s cyber experts that it’s best to put the rules in writing - a verbal agreement not being worth the paper it’s written on, as someone clever once said. 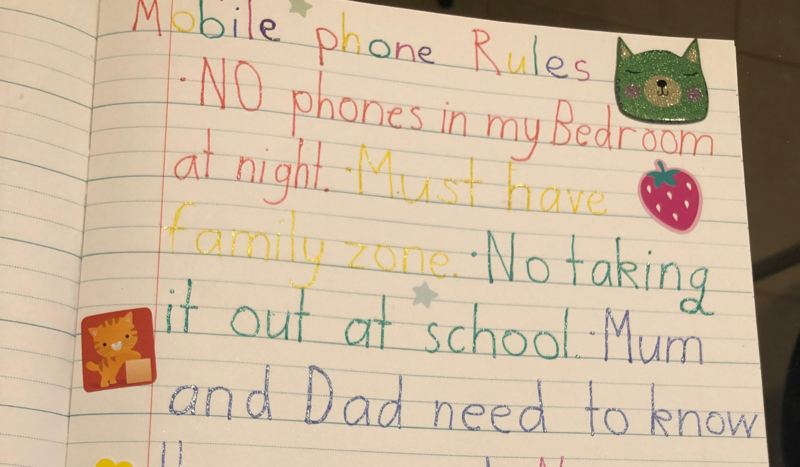 We started by sitting down as a family and discussing Family Zone’s own “smartphone contract.” You can have a look at it here. But we also wanted to get Ava herself involved in the process. So after going through the formal contract with her, we asked her to write down the rules we all agreed were the most important. So that’s been reassuring. I also asked Family Zone cyber expert and child psychologist Jordan Foster for advice. It was interesting to learn that, unlike Bill and Melinda Gates - who famously refused their kids phones til they were 14 - Jordan thinks there are lots of advantages to an earlier start. Basically, her reasoning is that with a younger child, parents have more control - simply because younger kids are more accepting of rules and boundaries. In fact, they expect rules and boundaries. Waiting til they’re teens may seem like a good idea, but the normal adolescent resistance to adult authority can make rule-setting a lot harder. So … we’re going with that for the moment. What the outcome will be we’re still not 100% certain - but we’re cautiously optimistic. Wish us luck - and stay tuned for further updates! 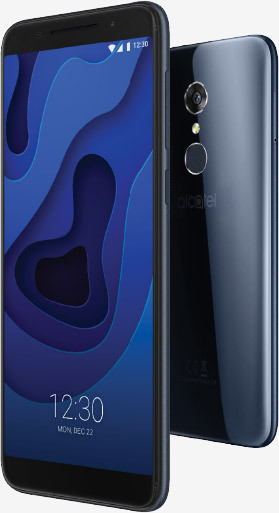 The child-friendly Family Zone Mobile Phone, FZ ONE, is the only phone in the world with Family Zone's acclaimed parental controls built right in. Order now for free pre-Christmas delivery or learn more at familyzone.com/fz-one.